India and China share a long pending border dispute. China is also in tug of war with its neighbours in South China Sea over border dispute. It is important to watch how China deals with the border issue in South China Sea in order to understand and strategise India’s dealing with China vis-a-vis border dispute; And also to protect Indian interest in South China Sea. In an extraordinary military muscle flexing gesture, People’s Republic of China decides to hold military exercises in the South China Sea just days before the international court is about to issue a ruling in the Philippines’ arbitration against Chinese maritime claims in the area. The Maritime Safety Administration of China’s Hainan Province announced upcoming Chinese military exercises in the South China Sea. The exercises will take place around the Xisha or Paracel Islands, which China occupies, but also claimed by Vietnam and Taiwan. 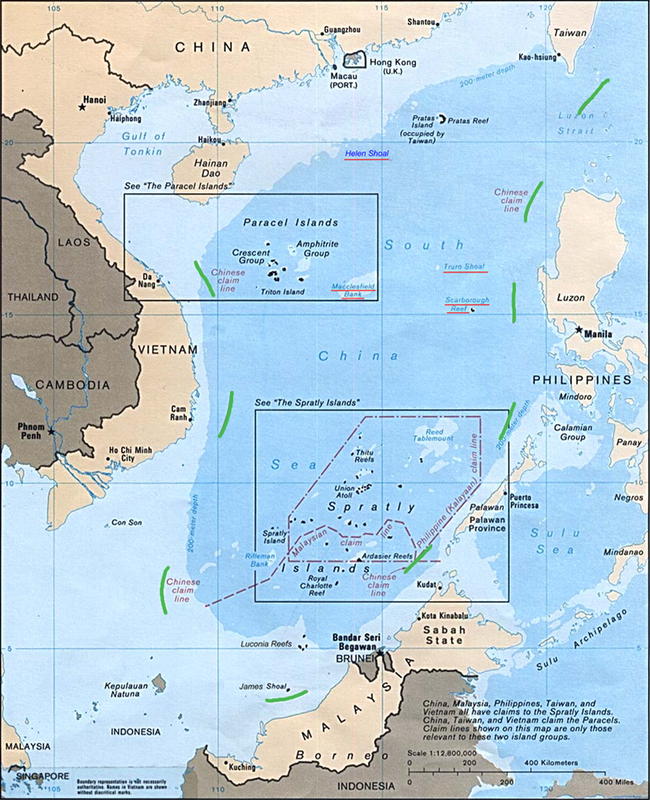 Coordinates given by the maritime security administration cover an area of approximately 106,000 square kilometers and encompass most of the Xisha Islands. According to the administration’s notification, mariners have been asked to avoid the area from 8:00 a.m. on July 5 to 8:00 a.m. on July 11. The Permanent Court of Arbitration will issue its award on July 12. The timing of the exercises, which are set to conclude the day before the PCA is expected to hand down its highly anticipated verdict is highly questionable. Experts believe it is a signalling to the court rather to snub the Court. 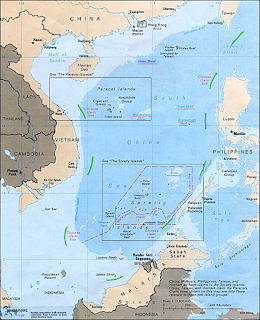 China in 1947 created imaginary nine dash line in South China Sea, which led to the disputed in almost whole of South China Sea particularly when the exclusive economic zone overlapped the territory of Brunei, Cambodia, China, Malaysia, the Philippines, Taiwan, and Vietnam. The Court’s award will not directly rule on the maritime entitlements for Chinese possessions in the Xisha as the Philippines has restricted its case to disputed features in the Spratly Islands and Scarborough Shoal. The Court may rule on the validity of China’s nine-dash line claim under international law and more broadly on Chinese maritime activities in dispute waters. The choice of the Xisha Islands demonstrates some tactical consideration by China. 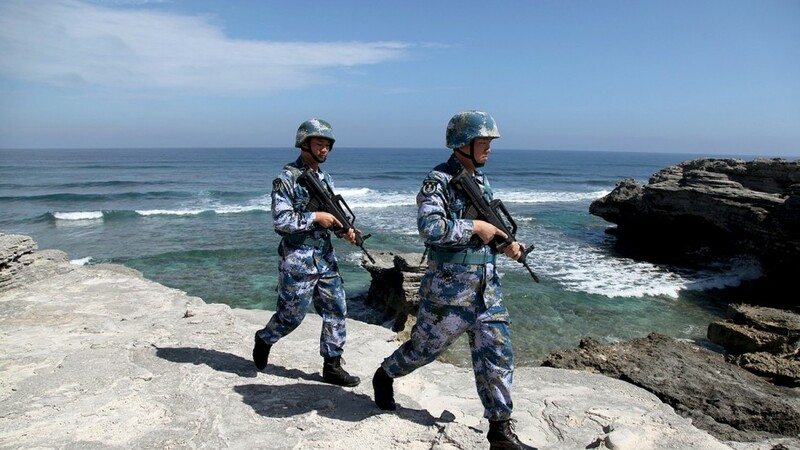 China fears that the Spratlys will be under scrutiny in the aftermath of the verdict. In this background China decided to hold provocative military exercise. 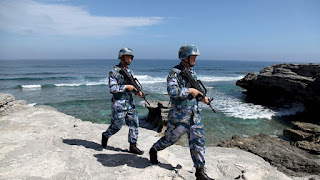 The Paracel Islands are also home to Woody Island, China’s largest South China Sea possession and the most highly militarized feature in the sea by far. Woody Island features a major airstrip (China’s only one outside the two newly constructed strips at Fiery Cross and Subi Reefs in the Spratlys), some 1,000 personnel, J-11 fighter jets,anti-ship missiles, and HQ-9 surface-to-air missile systems, among other equipment. India’s 55 per cent trade passes through South China Sea and nine dash line affects freedom of navigation. Moreover, due to right over exclusive economic zone upto 200 nautical miles, China in future may put conditions to allow the passage of Indian trade. India has neutrally supported China’s stand of solving the issue by not internationalising but with peaceful negotiations between the involved parties. China had warned India that Asia will be divided into two camps if India decides to join America’s Pivot to Asia.